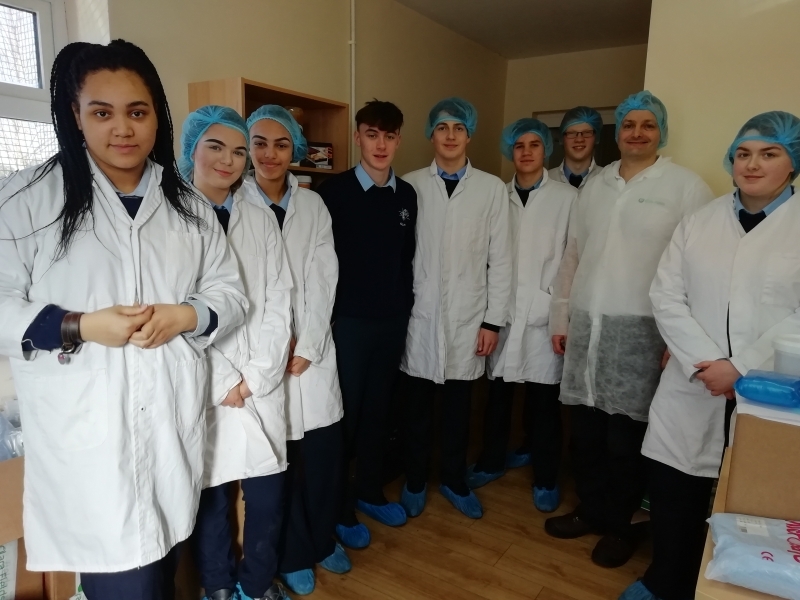 Transition Year 1 visited Clara Fields on Wednesday 6th February and thoroughly enjoyed their tour of the facility as part of their Home Economics Programme. Sincere thanks to Tommy, Billy and staff for their warm welcome and informative insight into their business. 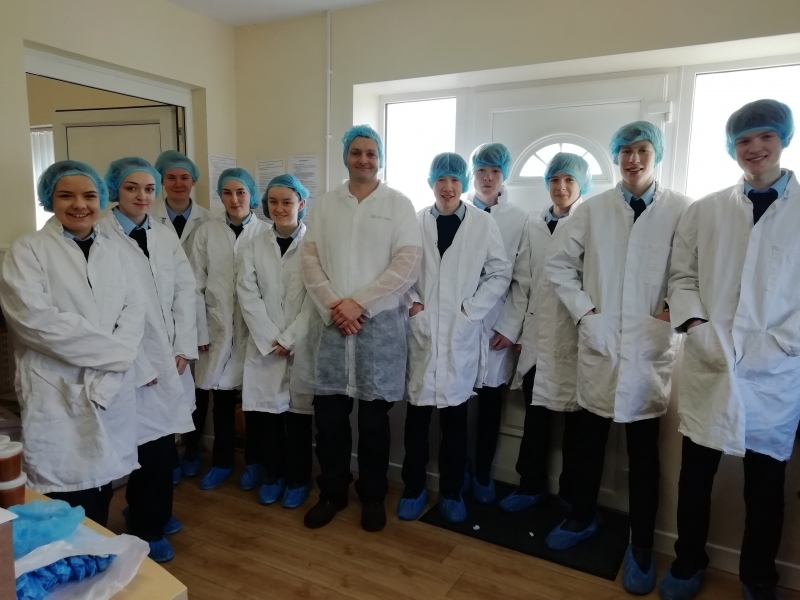 The students witnessed Dulce de Leche production and packaging. They enjoyed tasting the luxury caramel on return to school. We all wish Tommy every success on his trip to Dubai to promote Clara Fields and their products.